Ballycrovane ogham stone towers at 17 feet. Yesterday was a monumental day. And my feet got very wet. 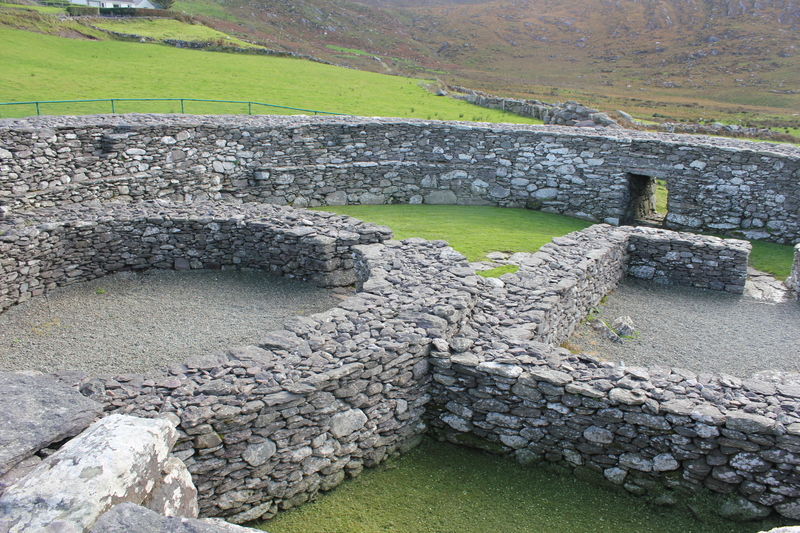 The Beara peninsula bristles with stone circles, wedge tombs and other megalithic stone monuments left behind thousands of years ago by prehistoric people. Most of them are estimated to be at least 3,000 years old. 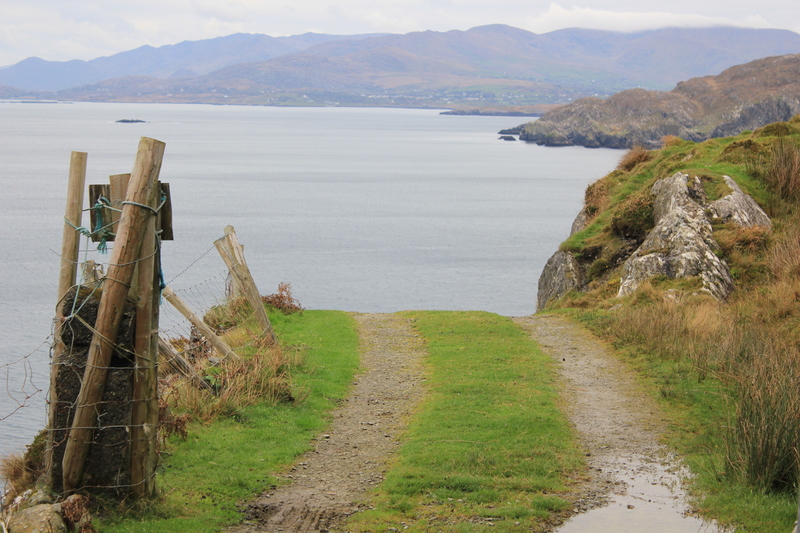 Many are just a short walk from the road, but the Beara Way walking trail yields many more. I had the rare privilege of having an expert on the subject give me a personal tour of a few sites that are not marked at all, plus I visited a few that are very well known but little visited. 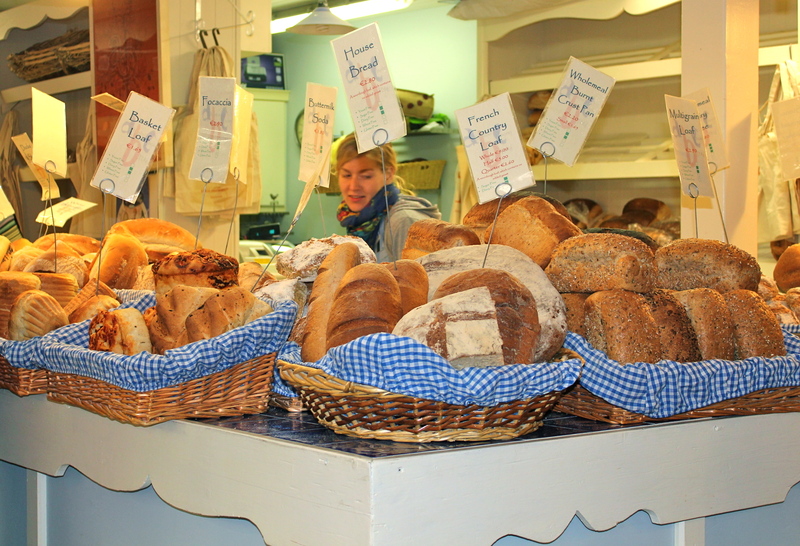 Connie Murphy is a retired schoolteacher in Castletownbere, and the chairman of the Beara Historical Society. He knows virtually every one of the more than 900 stone monuments on the peninsula, and has a master’s in archeology based on his research of the area. 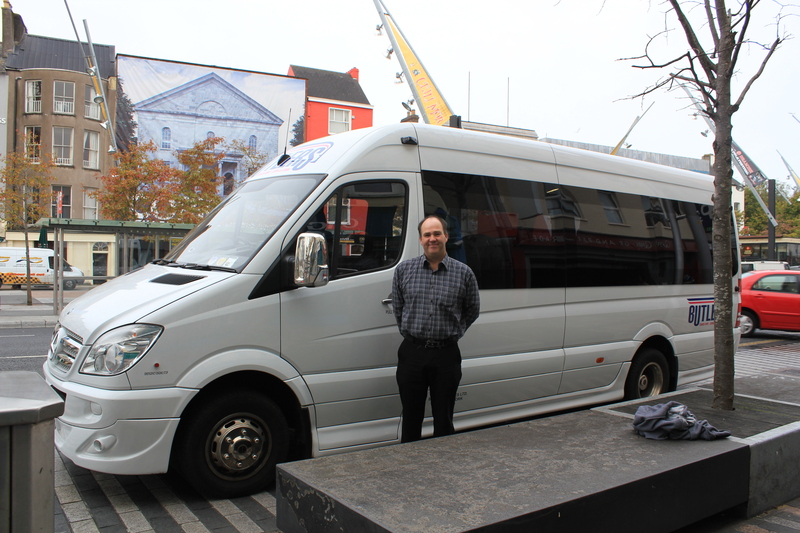 He has agreed to lead an exclusive half-day lecture and tour of the Beara’s history and archeology for my tours. 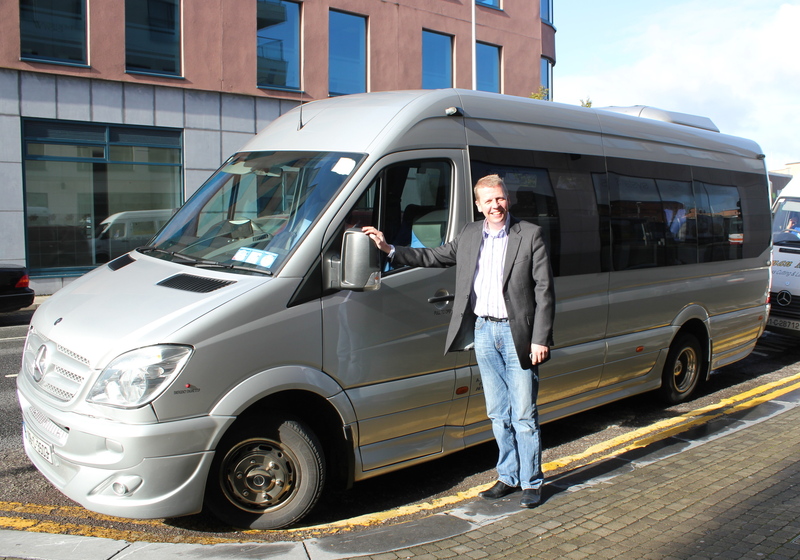 In the way of rural Ireland, all I had to do was ask my innkeeper in Allihies, John O’Sullivan, for suggestions on a local tour guide for my Celtic Heart Tours. He suggested Connie and set up a meeting. Under sunny skies we started with a tour of Dunboy Castle, where he explained the architecture of the castle, and the story of the 1602 battle that signaled its demise. Standing on what is now a grass covered low stone wall, he brought it back to life for me. Like most Irish history, it’s a sad story of battles lost and villagers massacred by the conquering English. 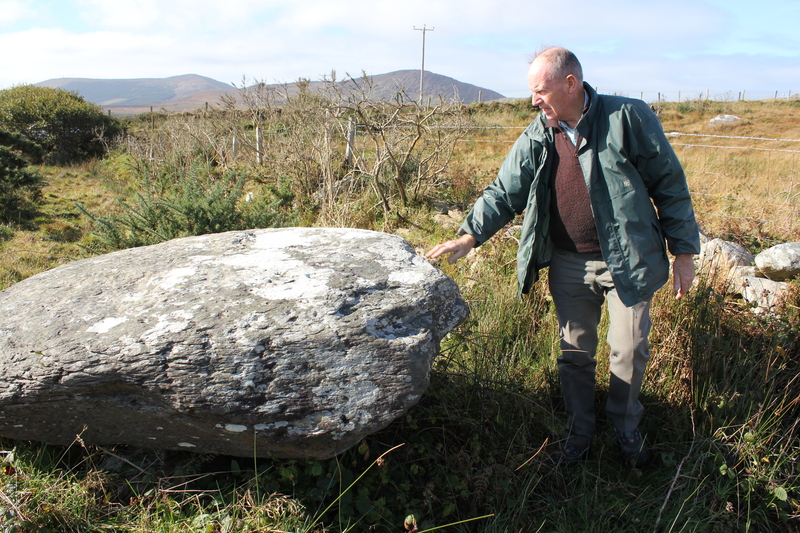 Beara historian Connie Murphy explains that a boulder burial stone was meant to cap a burial urn, or perhaps several. 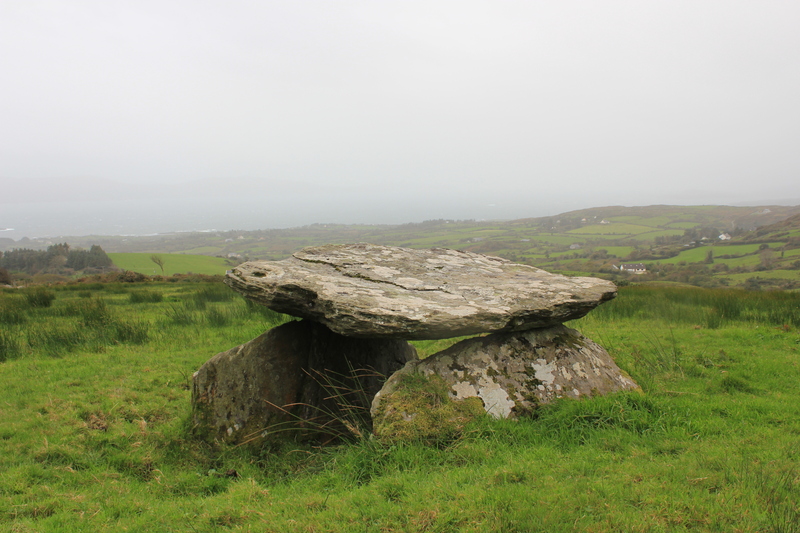 From there we drove to just outside Castletownbere, hopped a low wire fence and stepped on grassy hillocks across a swampy field to check out a boulder burial stone. Connie explained that the massive stone was actually perched on four smaller stones, with enough space underneath to hold a cremation urn. He estimated it was in the 3,000 year old range and had never been excavated. Incredible to think there could still be a pottery urn under it. 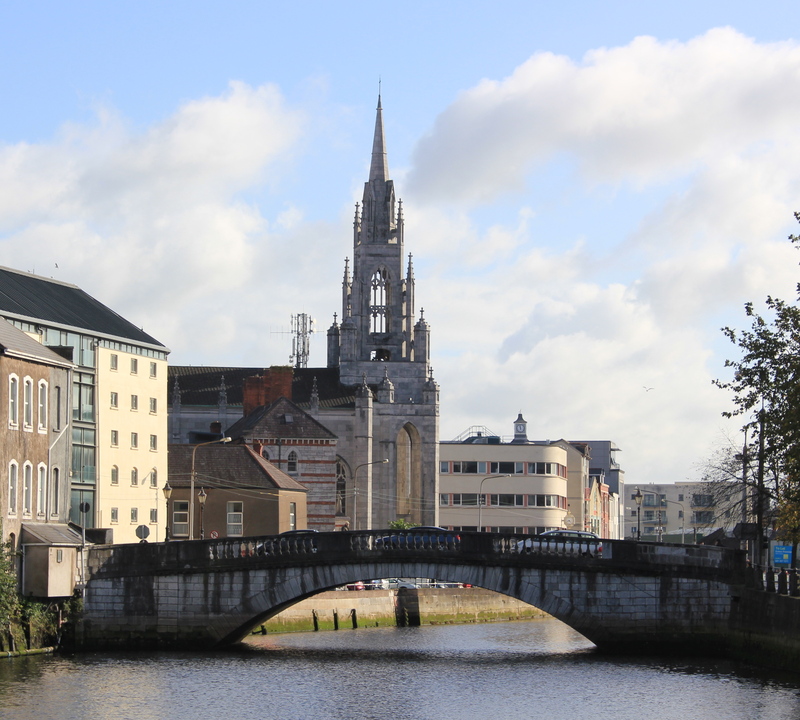 From there we tromped across a peat bog to visit a holy well, originally used by pre-Christians, but co-opted by the Catholic church to become “St. John’s Well.” Modern stone had been laid around the two natural springs and a small, plastic Madonna lay between the two. Derrintaggart stone circle, one of the better known monuments on the Beara. On my own I visited the stone circle, Derrintaggart, just outside Castletownbere, and several sites back on the west coast of Beara. In a small field on Ballycrovane harbor, near the village of Eyeries, is the tallest ogham stone in the world. In the world! 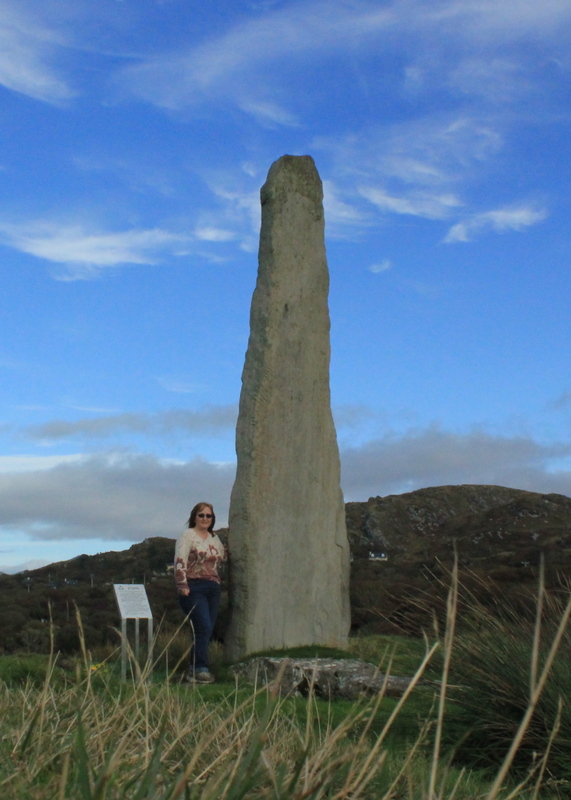 Ballycrovane ogham stone stands 17 feet tall, towering over the hilly countryside. It’s accessed by going through a small gate near a cottage and climbing a winding cow path. No bus parking lot, no visitors’ center or gift shop, no admission booth. Except for the addition of a small metal plaque, it is virtually unchanged from when it was erected during the Bronze Age. 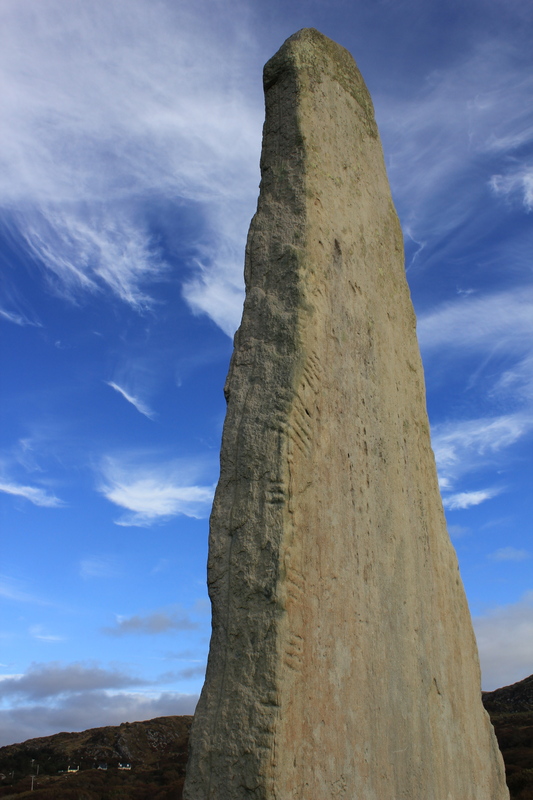 Chop marks along one edge are ogham – ancient writing – which has been interpreted to roughly say “son of Deich descendant of Torainn.” While the stone still stands, there is no written record of Deich, his son or Torainn. 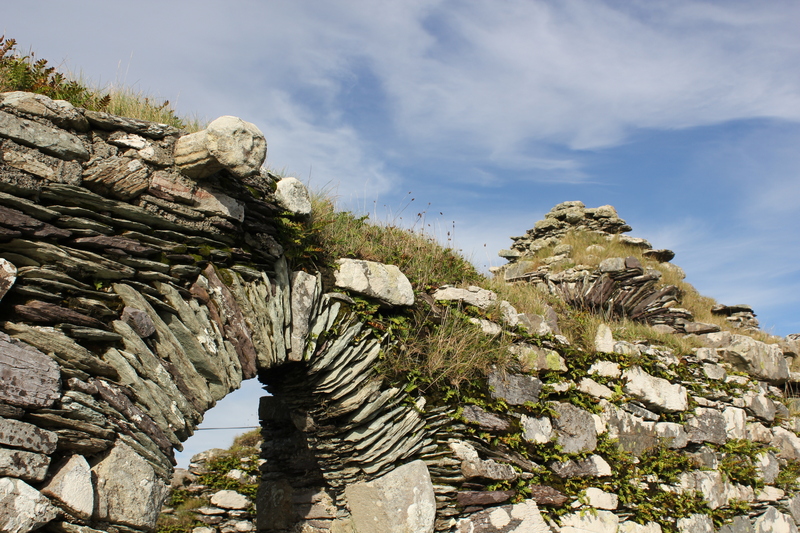 A short ways down the road is the ruined church of Kilcatherine, which has a unique claim to fame. 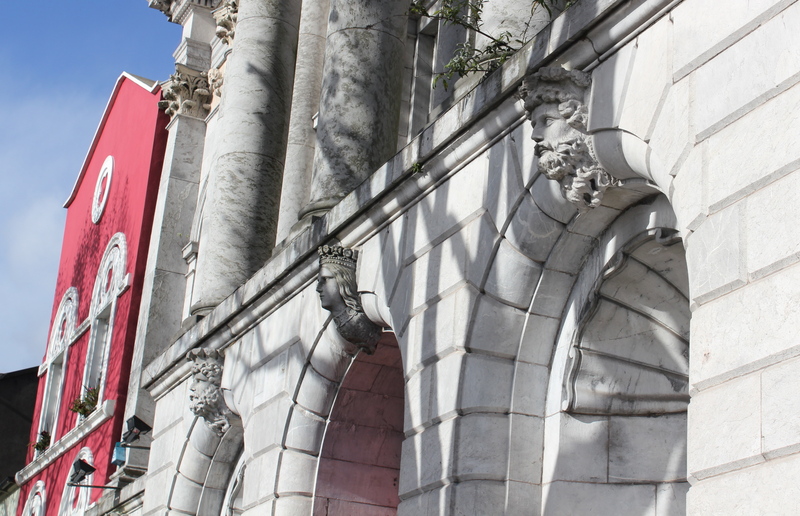 Set in the stone over the arched doorway is a curious, cat-like stone face. 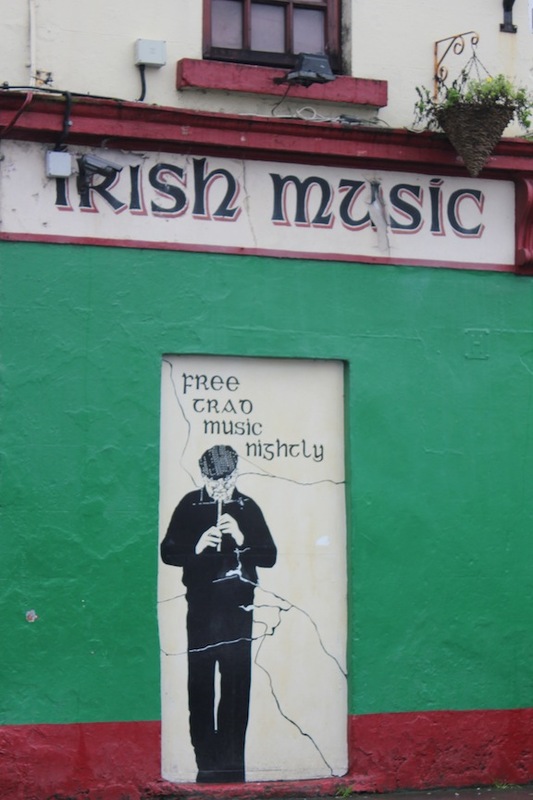 It is believed to pre-date the Christian presence, another example of how the Catholic church in Ireland incorporated pagan beliefs in order to convert the locals. A cat-like pre-Christian stone head welcomes visitor to Kilcatherine. Or maybe it's Kil-CATherine. Sorry. 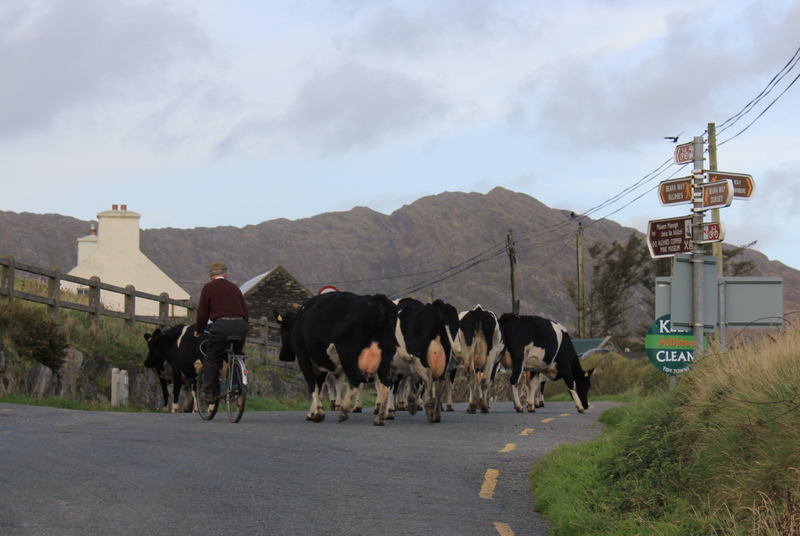 On the wild Beara Peninsula the locals seem just fine living with the ancient, pagan past all around them. 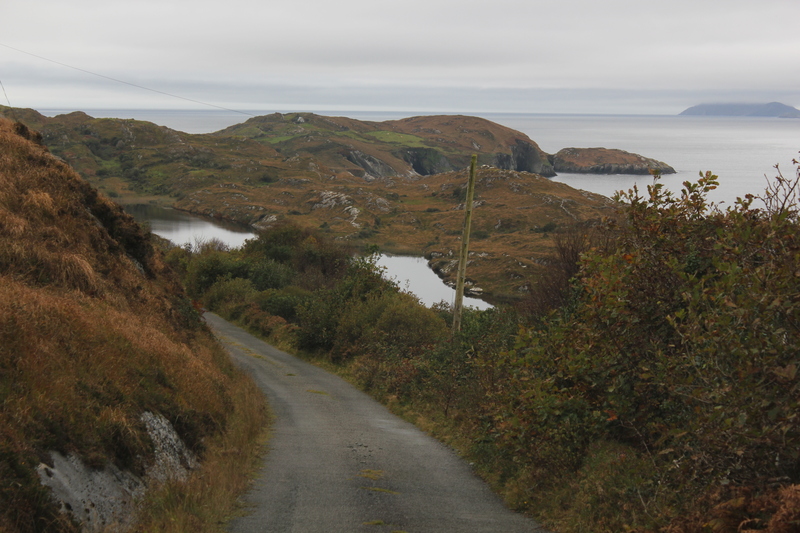 The coast road on the Beara Peninsula. Very scenic, but you need to pull over to take in the views! At least that’s the way it seemed yesterday. Distance in Ireland is deceptive, and tourists always underestimate how long it will take to get from point A to point B. I know better, but still it took me all day to go just about 100 miles. Partly that was because the roads are not conducive to speed, particularly on the Beara, but also because I had to keep stopping to take pictures! I kept telling myself I would not stop at every scenic beach, lake, house and rocky point, but the lure was too strong. Plus the weather was cooperative, with the sun peaking out from the clouds to shine alluringly on the water and hills. Oh Irish weather, such a tease. Eightercua stone circle and rainbow, near Waterville on the Ring of Kerry. 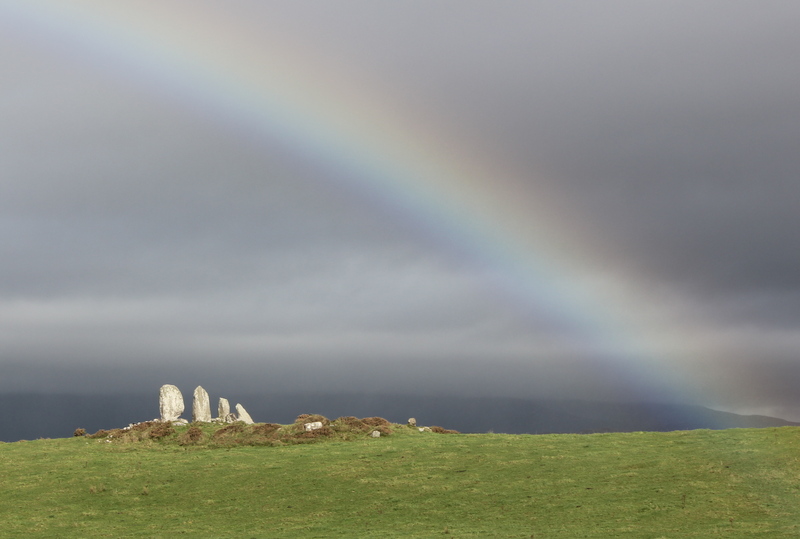 The photographic highlight of the day was the miraculous juxtaposition of a rainbow and a stone circle along the Ring of Kerry. 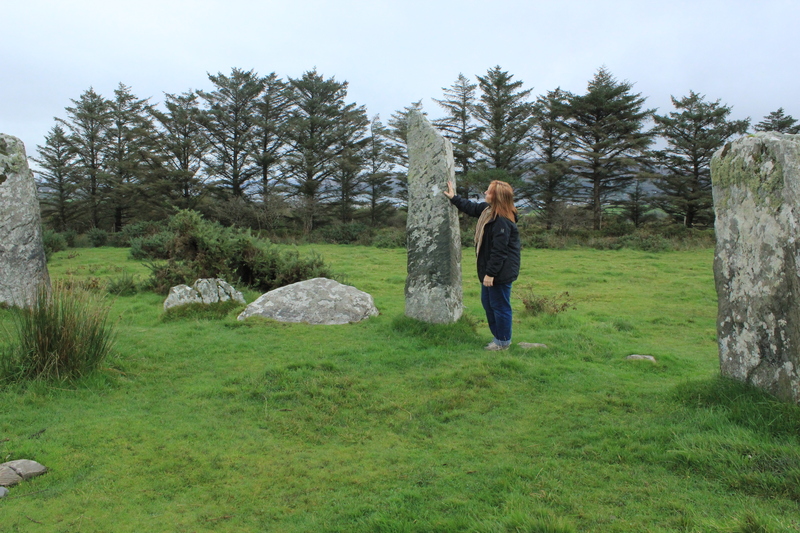 I learned the stone circle was Eightercua, with the tallest of the four stones standing nearly 9 feet tall. 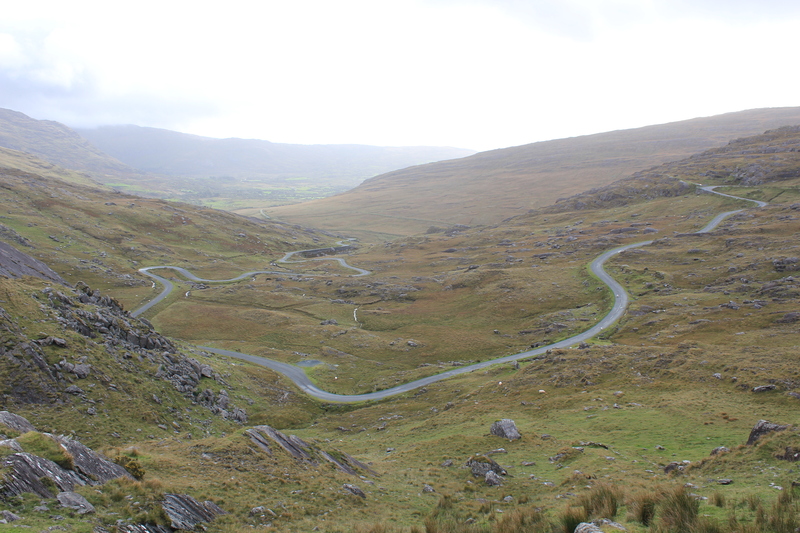 Driving in Ireland has its drawbacks, but being able to stop at sites like this is definitely a plus. Apologies to my friends who have already seen this picture on facebook. Loher stone fort, actually a farm enclosure, from the 9th century. Amazing stone work! I was also able to seek out a stone ring fort which was several miles down a narrow, winding road. But then, they’re all narrow, winding roads in these parts. Anyway, Loher stone fort, from the 9th century, was impressive and tourist-free. There aren’t many tourists about this time of year anyway, but places like this are definitely off the beaten path. From there I pressed on the Beara Peninsula, with a stop in lovely Kenmare for lunch. 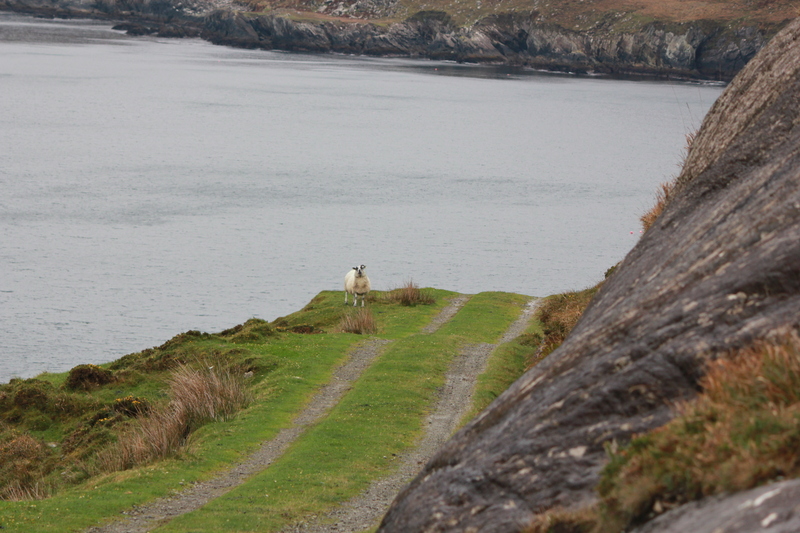 I opted for the coast road on the Beara, and it wasn’t long before I questioned that judgement. The roads here are literally like poorly paved driveways. In some places they pass right through farms, with the house and barns so close to the sides that if a farmer stepped out on his porch with a cup of coffee a driver could take it right out of his hand. 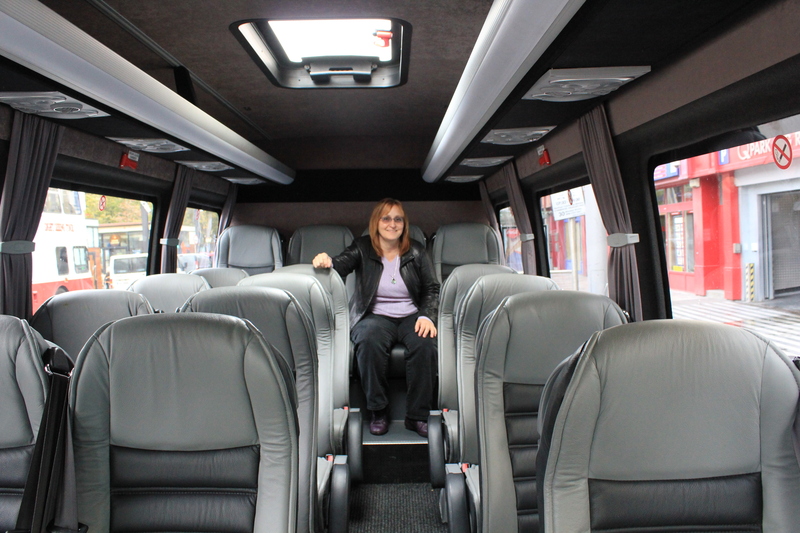 A passenger could get fresh milk for it from the cow on the other side. The posted speed limits are insanely fast — 100 KM, or 60 MPH, on one lane roads. I managed to get up to 60 KM and felt like I was on a road rally. Plus you have to be ready to pull over onto the non-existent shoulder when another car (or truck) approaches. Somehow it works. 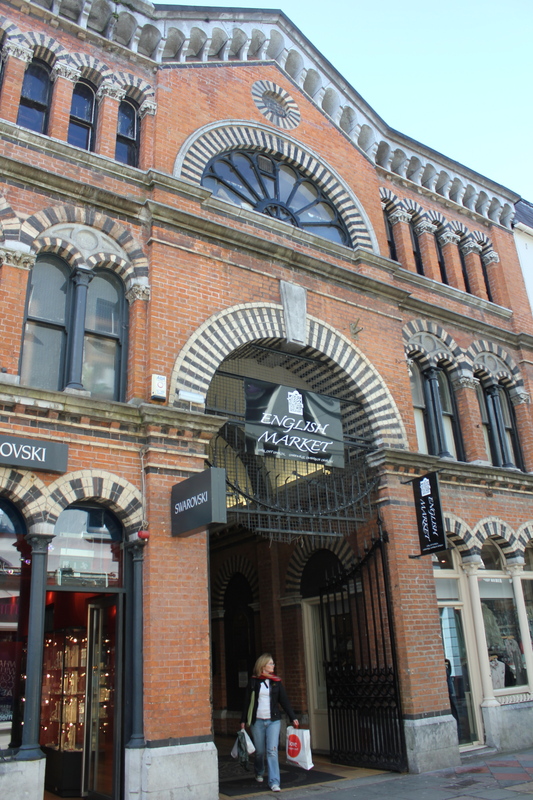 I think Ireland has harnessed the ability for two solid objects to occupy the same space at the same time. It’s the only explanation. Finally I arrived at my destination, the colorful village of Allihies, population 600. I’m the only guest at the Sea View B&B, a lovely small hotel-like accommodation run by the O’Sullivan family, who also run the store downstairs. 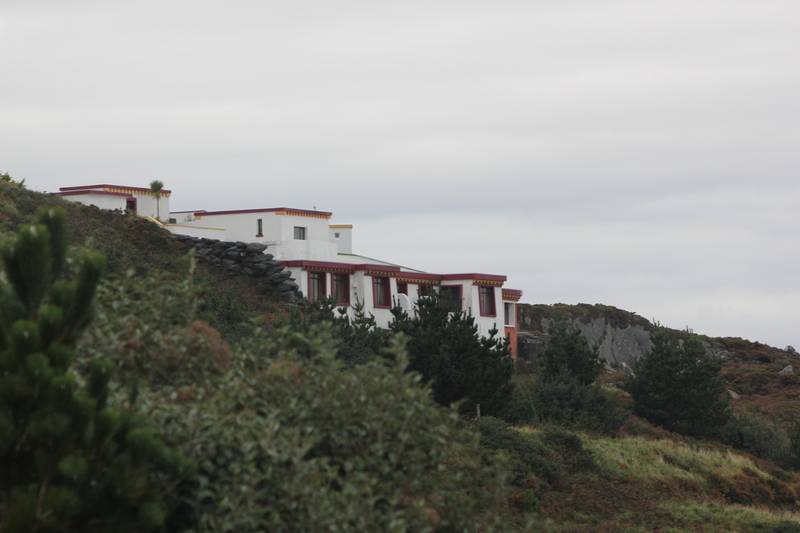 The inn faces the sea, with views across the country. It’s just the balm I need after that drive! Little Skellig, left and Skellig Michael as seen from Valentia Island. It may not be the edge of the world, but as they say, you can see it from here. 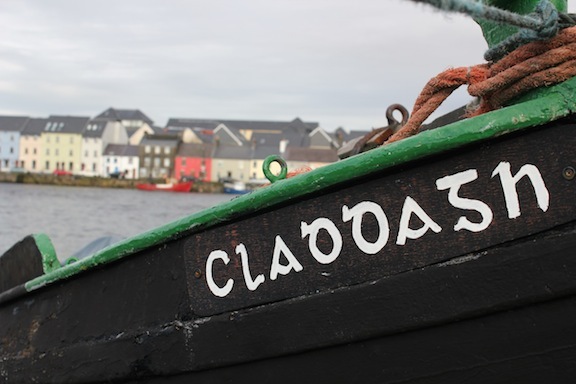 Portmagee is on the southern tip of the Iveragh Peninsula, better known as the Ring of Kerry, and the hopping off point for Skellig Michael. 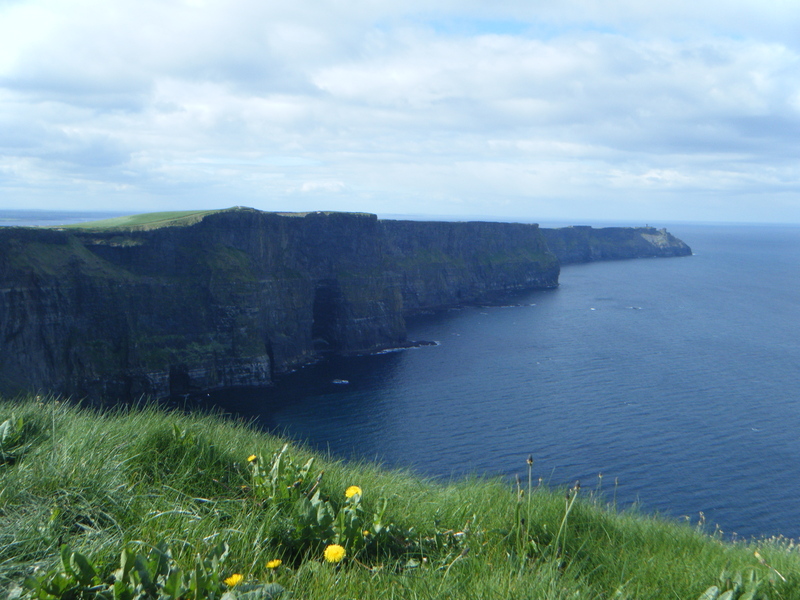 The monks who inhabited the austere, rocky island for 600 years truly did think they were on the edge of the world. The “New World” wasn’t even discovered until 200 years after they left the rock. From their lofty vantage hermitage, 714 feet above the crashing sea and 8 miles from the nearest land, the west held only vast ocean. I won’t be going out to Skellig Michael this trip. 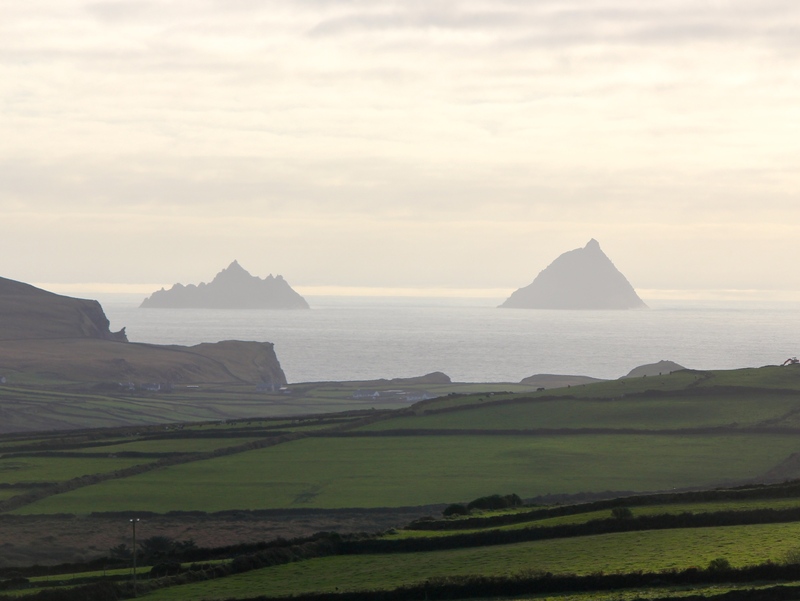 (The blog header photo was taken on Skellig Michael last May when my partner and I made the pilgrimage.) I’m here to look at accommodations for my May tour. Hands down the best choice is the obvious one: The Moorings, directly across the street from the harbor where the boats gather to ferry passengers to the island. 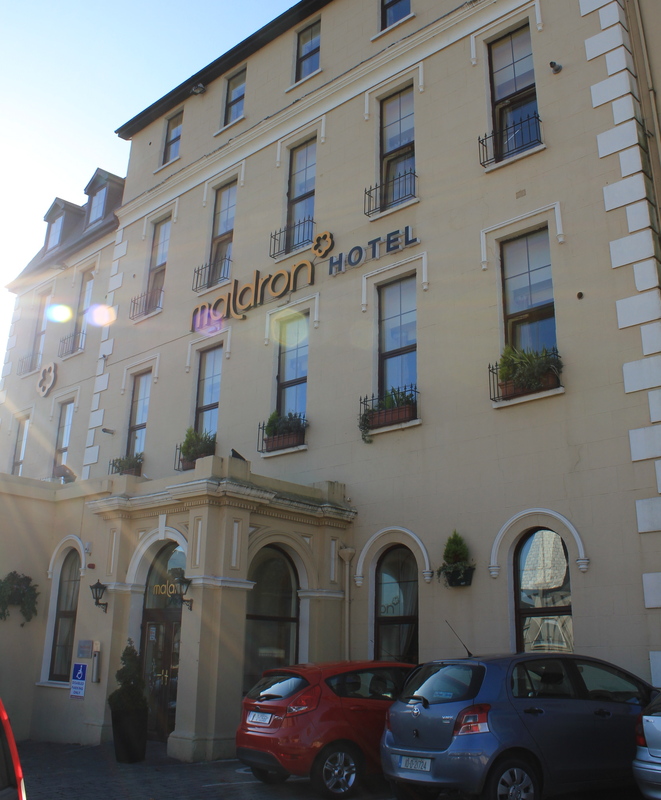 The owner showed me the room where the president of Ireland stays when she visits! 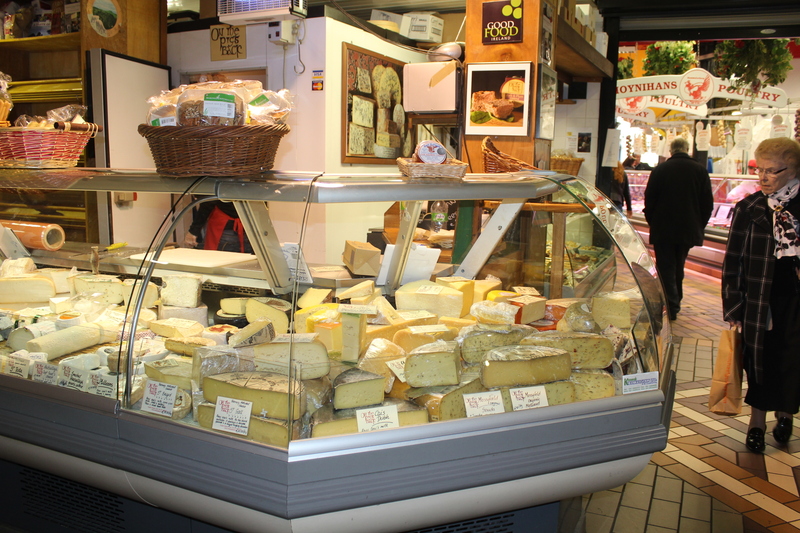 There is also a pub and restaurant on site, so all the basic necessities of life are under one roof. One of the drawbacks of driving alone is that you miss a lot of great photo ops. The best one yesterday, which I missed, was when I passed a slow moving tanker truck which was labeled, and I swear I’m not making this up, MOLASSES HAULER. Priceless. As I neared Portmagee the sun came out and played across the hills in a way that seems uniquely Irish. I know, the sun shines everywhere, but somehow it’s ….different here. I took advantage of the fine weather to drive over to Valentia Island, across a short bridge from Portmagee. 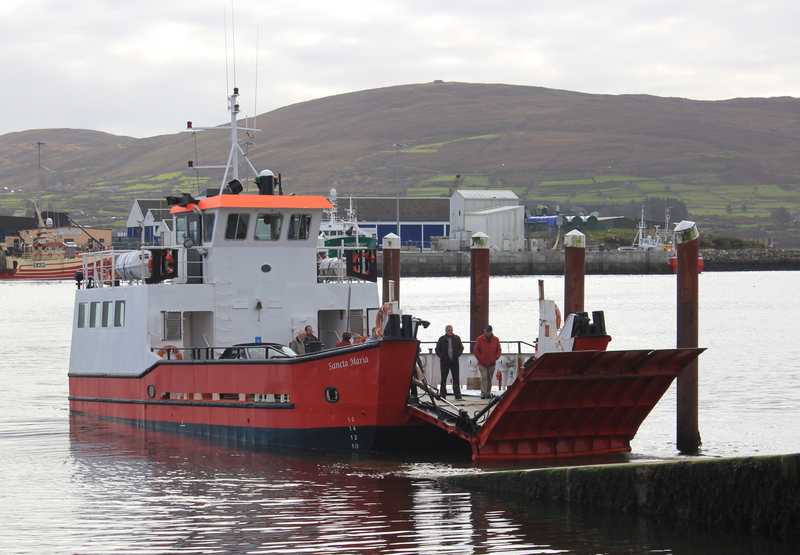 Note: There is a ferry from Caherciveen, which stopped running for the winter on Sunday. Darn. 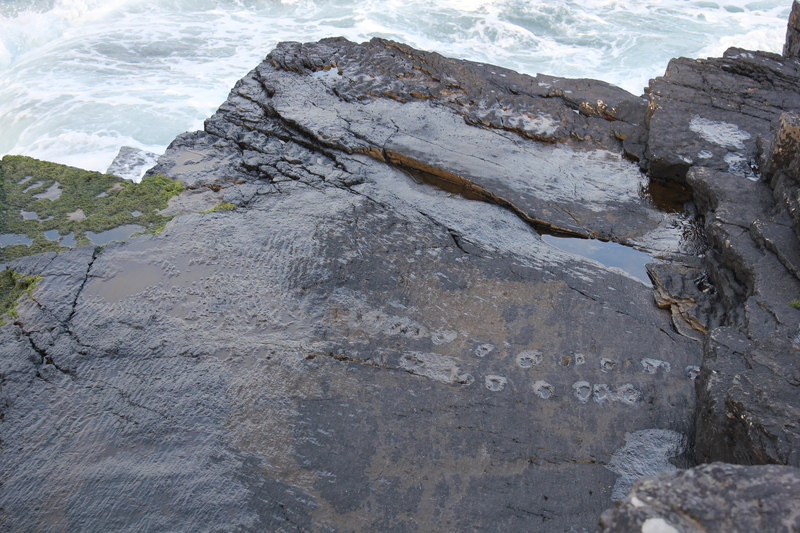 The "dotted line" across the middle of these seaside rocks connects us to the past - footprints of a Devonian sea creature who made the leap to land. 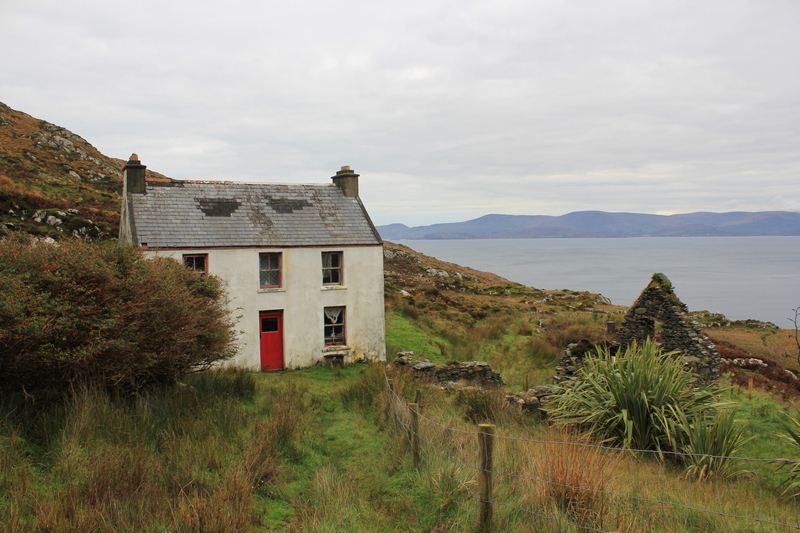 Valentia is a sleepy little island now, but it has several hefty claims to fame. It was the site of the first transatlantic cable crossing in 1865 and recently scientists found fossilized footprints of the first fish to come ashore, the tetrapod. I drove out to the “fish footprint” site, and I have to say, it was pretty impressive. Once you knew what you were looking for, there they were: a “tetrapod trackway” of frozen tracks imbedded in what was once Devonian mud, estimated to be 350 to 370 million years old. Gives a whole new meaning to tracing your roots in Ireland!